Here we go with my first review of a free Master of Malt sample. It’s a 20 year old Glenfarclas from the Family Cask series, bottled at 56.5%. There were 521 bottles produced from a single refill sherry puncheon. I’m going to compare it with the standard Glenfarclas 17 year old release. I already discussed what’s going on with these samples from MoM. I’d like to additionally editorialize that their sample program is pretty sweet. As long as you’re comfortable with the prices they charge for the samples you’re interested in, everything else is top notch. Excellent packaging with really nice looking wax-dipped bottles, and very fast shipping. The only down side is I’d rather see 40 or 50 ml samples, depending on how much extra they would charge. 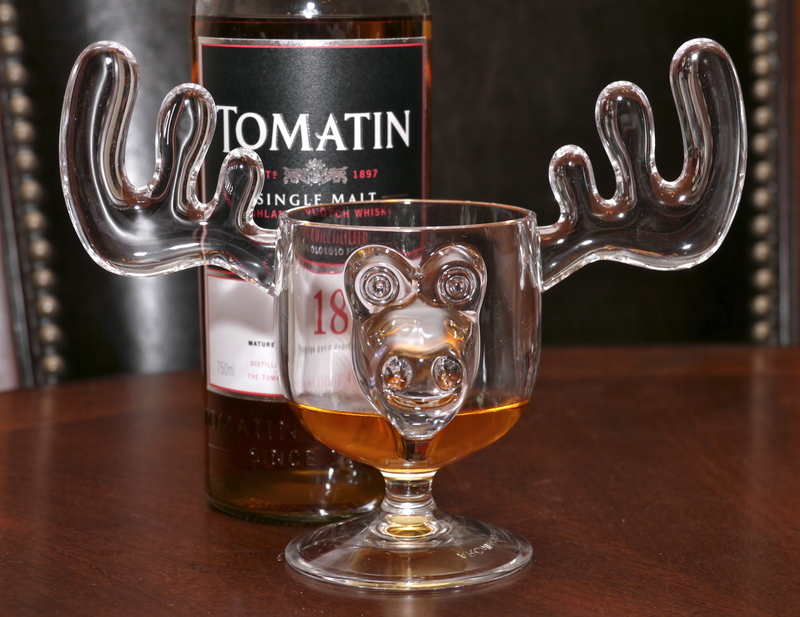 Nose: There is light sherry influence of the dried fruits variety, but it is somewhat muted. Rising above the sherry are distinct oak and vanilla notes. There is also an underlying sweetness. Adding some water brings the sherry notes out more, and makes it more balanced. Palate: This one has a very rich feel on the palate, initially juicy on the tongue, followed by some nice spices and drying. Finish: On the finish, it’s still kind of spicy, with the oak returning, and finally turning a little malty. It’s not a particularly long finish, but it’s nice while it lasts. Nose: The same kind of sherry (dried fruits) as the 1986, as well as vanilla and oak, but the fruit stands out more, and the oak stands down to create a more balanced presentation. Finish: Balanced on the finish, just as on the nose. Less oaky again than the Family Cask, which I think is a good thing in this case. It’s probably just the oak/malt combination, but in the nostrils, I could swear there’s a hint of Highland Park style smoke that lingers for a while. 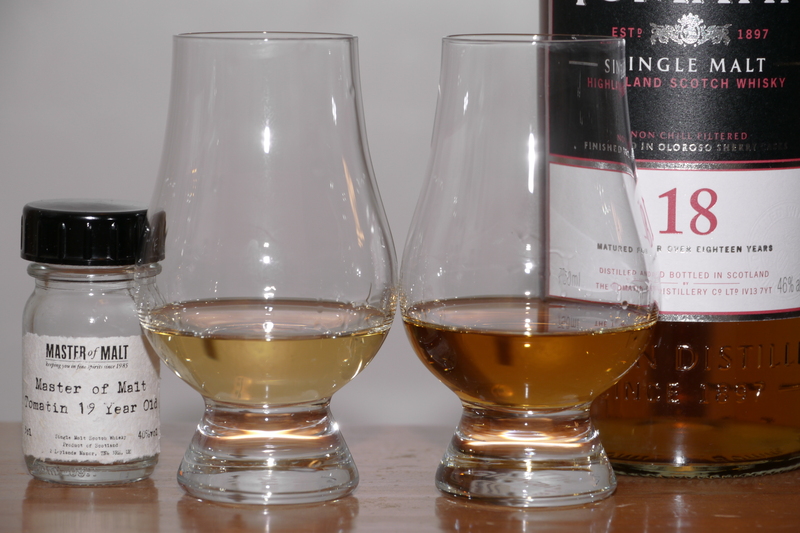 Neither one of these is a “sherry bomb.” Look to first-fill sherry cask expressions for that. The 1986 brings increased oak on the nose and finish relative to the 17 year, to the point that it might be a little much for some people. Add a little water to balance it out. And of course, there’s the higher ABV, which provides more impact. 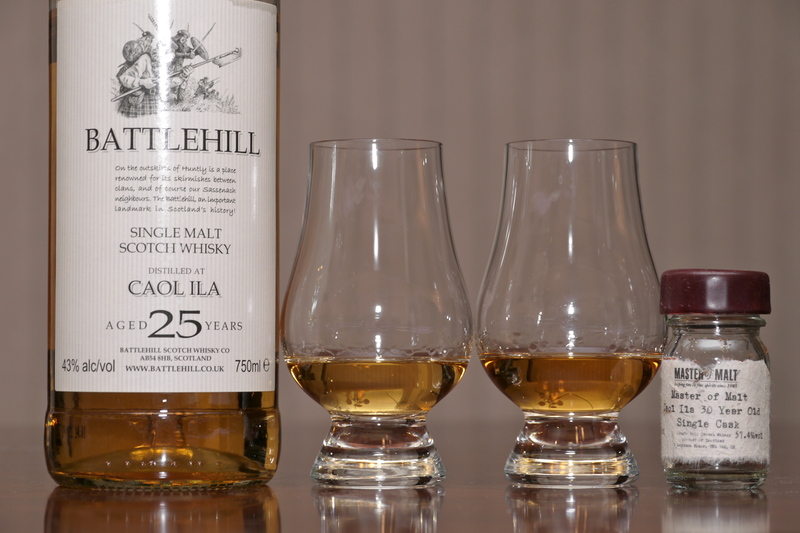 The 17 year offers increased maltiness on the nose and finish, and perhaps a hint of smoke. For me, the 17 year wins out on the nose, the 1986 has an edge on the palate, and the finish goes once again to the 17 year. If you’re a fan of medium-sherried whiskies that allow the oak flavors to come through, you’ll probably like the 1986 Family Cask. However, price is certainly a consideration. I would not pay $260 for a bottle unless I really wanted something tied to the year 1986. That being said, this Family Cask bottling is a very enjoyable whisky, and thanks to Master of Malt, if you’re considering buying one to celebrate the year 1986 in some way, you can try a sample for $15 [hey, that was a pretty good plug, huh?]. 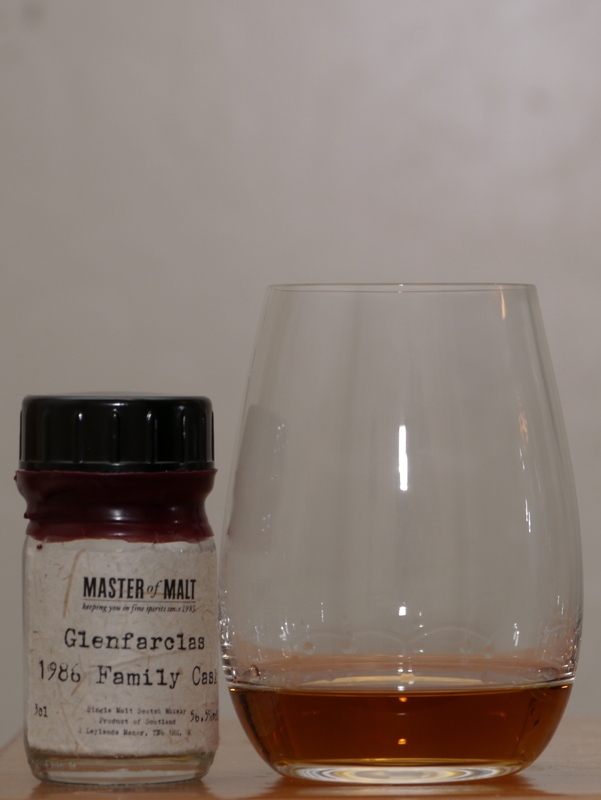 The Glenfarclas 17 year isn’t as big on the palate, but otherwise offers a very similar, and in some ways more balanced profile for much less money. I’m very impressed with this expression, and purchased a backup bottle when it was on sale locally. This is a pair of extremely enjoyable medium-sherry whiskies and both are highly recommended based on taste. For value, the 17 year obviously wins out. 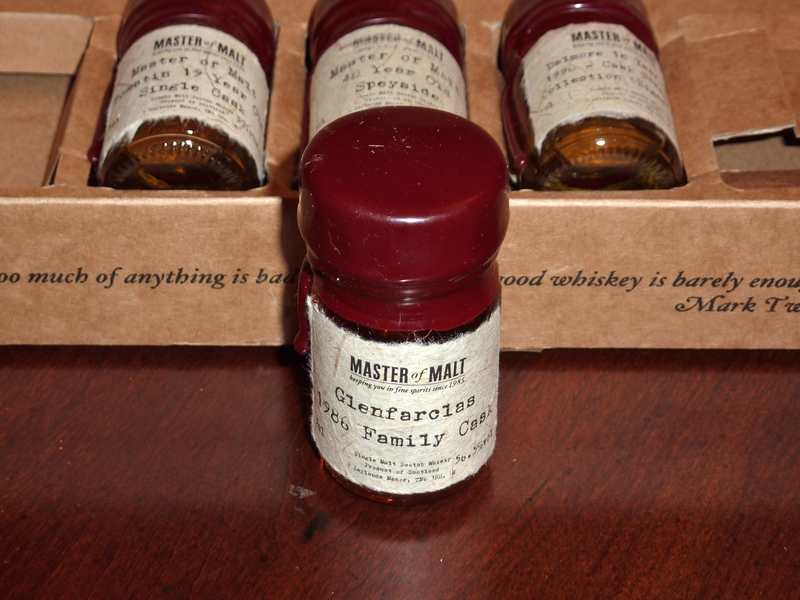 Once again, here’s the link to the Glenfarclas Family Cask 1986 page, where you can purchase a full bottle or sample. For the record, this is not an affiliate link. I’m not currently participating in any such programs.